We had a beautiful king salmon for dinner and with the leftover salmon made this frittata. 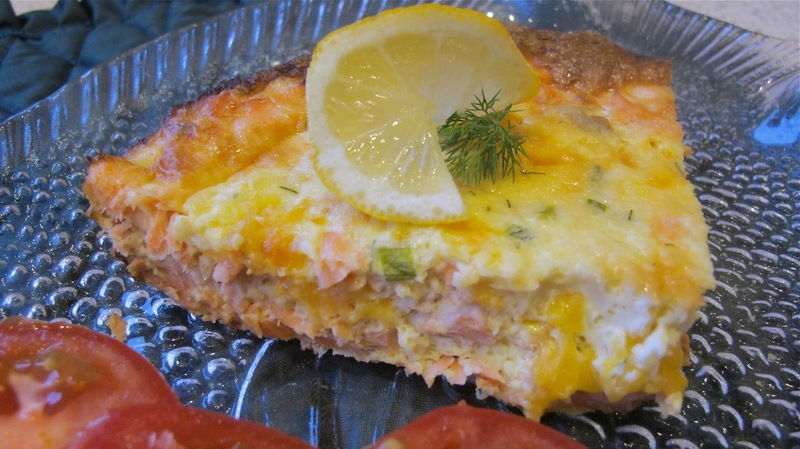 The following evening, a fresh green salad and a slice of salmon frittata rounded out dinner. Butter a 9 inch pie plate. In a medium size bowl, blend eggs, sour cream, yogurt, and mayo. Fold in salmon, cheese, chives, dill and hot sauce. Pour into pie plate and bake for about 40 minutes or until firm.